The home was built in 1826 and has been the site of strange occurrences for generations. 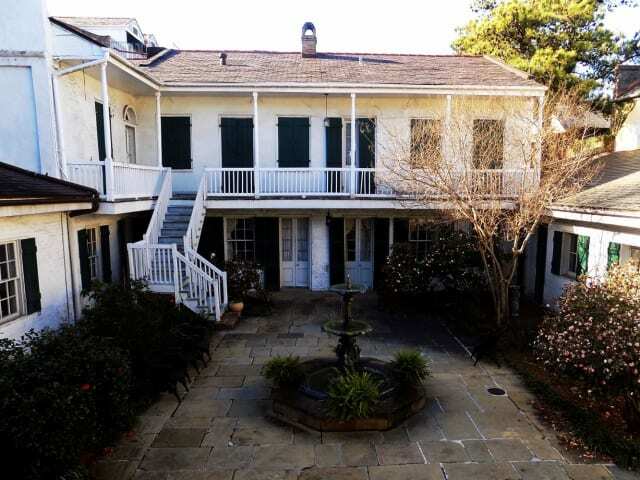 New Orleans’ historic Beauregard-Keyes House was built in 1826 by the architect Francois Correjolles. The name of the home is derived from two of its most well-known former inhabitants: Confederate General Pierre Gustave Toutant Beauregard, and the author Frances Parkinson Keyes. General Beauregard and his family lived in the home from 1866 to 1868 while he worked as president of the New Orleans, Jackson, and Great Northern Railroad, and Mrs. Keyes restored the home in 1948 and spent 25 winters there, luxuriating in the warmer climate and serene surroundings as she worked on her books from her studio. As with many homes as old as this one, especially those located in New Orleans, the Beauregard-Keyes House is thought to be very haunted, although the people who run it today may like you to think otherwise. 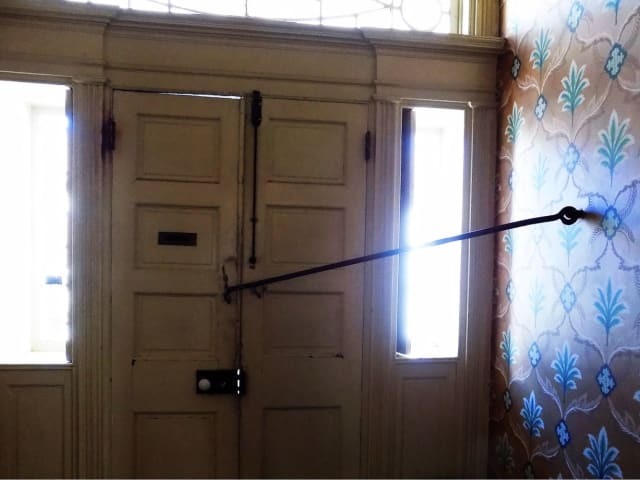 Now primarily operating as a museum and event space, the Beauregard-Keyes House offers tours to the general public for $10 Monday to Saturday, every hour from 10AM to 3PM. Curious to see the inside for myself, after walking past it several times and hearing bits and pieces of its history, I signed up for the last tour of the day a couple of weeks ago and was let in to snoop around and take pictures for roughly 45-minutes. Not knowing who was going to be joining me on the tour, I was surprised to climb the stairs to the front entrance of the home and see only three other people there. Even more surprising was that, after a minute of eavesdropping, I learned that two of the people were there to arrange for an upcoming wedding ceremony to be held at the home. I momentarily thought about butting into their conversation with “you guys know this place is haunted, right?” But thought better of it. Once the door to the home opened and we were all let inside I was surprised a third time when I saw the couple lovingly embrace our tour guide. Apparently they were all old friends, making me the only camera toting ghost enthusiast of the bunch. The first thing I noticed about the Beauregard-Keyes House was how amazing it smelled. For a home as old as this you’d expect some dusty, musty odors but it smells more like expensive furniture polish with a hint of the creamy, buttery seafood being prepared up and down the French Quarter street outside. One of the first stories the guide told us was the reason behind the unusual security system, a long metal hook hanging from the entryway wall that can then be attached to the front door. The home is well known as being the site of what’s referred to as the “bloody mafia massacre,” and the security measures pictured above were installed following this gruesome event. As the story goes, the Giacona family, who bought the home in 1904 and were in the wholesale liquor business, got into a rift with the Sicilian Mafia on June 18, 1908 and the patriarch of the family shot and killed three mafia men on the back gallery of the house. Since then, people have reported smelling fresh gun powder in the garden, and the sound of phantom gun shots - all near the spot where the murders took place. Although these paranormal occurrences are tied to the home, and easily found in numerous write-ups online, they were not mentioned on the tour I was on, which I found to be curious. I asked the guide if he’d ever experienced any paranormal activity in the home and he said that in his 11 years working there he had not, which seems odd considering the many others who have. If I had to guess I’d say he was shielding his friends, the couple planning their wedding there, from the ghostly truth of what they were getting themselves in to. Another detail left off the tour is that General Pierre Gustave Toutant Beauregard, one of the head generals of the Confederate Army, and resident of the home in its earliest stages, is said to haunt the home and that his apparition can be seen pacing around, as though worrying about battles long since fought, and that the sound of Civil War period weaponry can be heard on the grounds around the home. 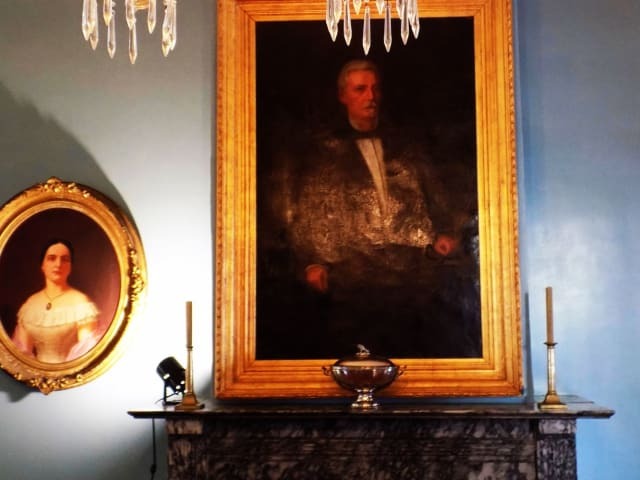 In an interview with local paper The Times-Picayune in 2000, Marion Chambon, former director of the home, said that although she’d never experienced any civil war ghosts, or mafia ghosts in her 20 years overseeing the property, she definitely got spooked from time to time and felt as though she was not alone in the home, even when she was. She did say, however, that a ghost cat visited her there from time to time. And where there’s a ghost cat, there’s got to be a ghost dog, which the house reportedly hosts as well. A few days after Mrs. Keyes died in 1970 her beloved dog Lucky followed. The spirit of the dog is thought to have remained in the home, near its former owner’s belongings. Regardless if any of this is true or not, it certainly lends a great deal to the rich and fascinating history of New Orleans, and the home is definitely worth touring if you’re ever in the area.